At CDC Victoria, we are committed to reducing our environmental impact while providing essential transport services within the communities that we serve. In October 2017, CDC Victoria joined forces with partners, Volgren and CMV Buses & Trucks in its First Bus-led Sustainability Project. 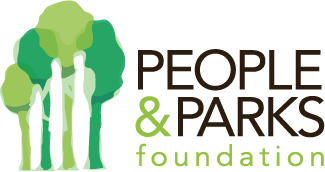 In partnership with People & Parks Foundation, the long term project is in support of Parks Victoria’s 10-year Masterplan to rejuvenate Werribee River Park’s grasslands to provide sustainable, community parks and recreational facilities in Wyndham. The bus industry recognises the importance of reducing its carbon footprint and playing a role in ensuring a sustainable future. The long-term project includes revegetation works at Werribee River Regional Park, beginning with the planting of a Blue Box Forest along Werribee River, as well as a bus repurposing project. Project partners are also working with communities that are currently active on site to explore future project opportunities.